IndustrialNet F/UTP copper cable provides reliability and high performance as an integral component of the end-to-end solution for industrial Ethernet and Ethernet/IP based communications networks. The 4-pair high performance cable ensures high availability in conditions seen in industrial environments. 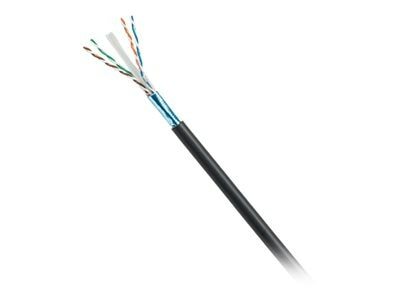 The cable incorporates a durable PVC jacket and is oil, UV, and abrasion resistant.